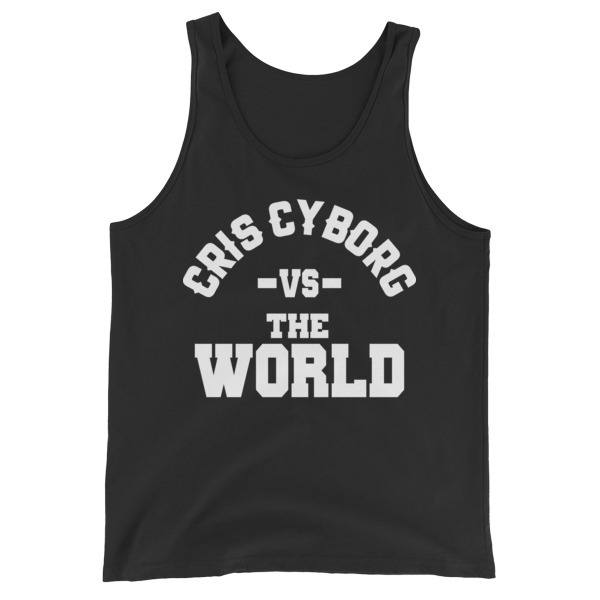 Black Tank-Top with the "Cris Cyborg vs. The World" print on the front in Black. 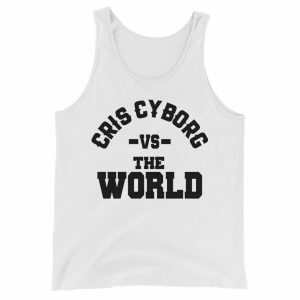 Black Tank-Top with the "Cris Cyborg vs. The World" print on the front.